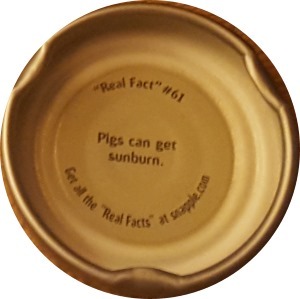 Today I want to show you one simple content marketing strategy we can learn from Snapple®. A simple marketing strategy that your readers will love and will help grow your blog. Hi, I’ve been thinking about you all day! No, I didn’t think I was writing an email and accidently open WordPress instead, I’ve been thinking all day what kind of amazing content I would share with you this week. Real quick, I’ve been out all day listening to 10, yes – ten, different podcasts. Normally, listening to a couple of podcasts will trigger some type of insightful idea for me but not today. No, I’m not writing this to tell you I have nothing to share, that wouldn’t be respectful of your time. So think about it, you write out an amazing list post of, say 20, 50 or even 100, fantastic tips related to your niche. So, for example, I might write 50 amazing tips to improve your blog. 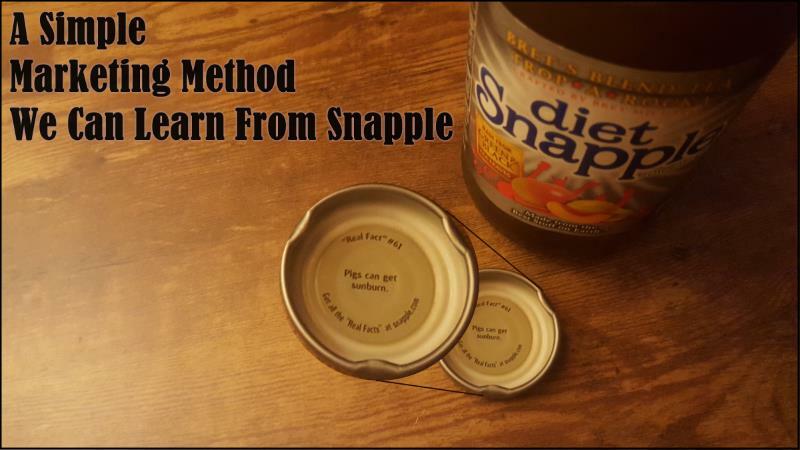 So, following Snapple’s example, we can create content around every one of those tips we added to that blog post. We don’t have lids but we certainly have content. We create a separate tweet for every tip, quote, example, fact, etc.. Each tweet will share one tip and send our followers to the full post for more amazing content. Getting the idea? Then we create images for Twitter, Instagram, Pinterest, Facebook, G+, and anywhere else our target market plays. Into Snapchat? Snap each one. Periscope? Scope a short video of one tip each day and send them to the main post for the other tips or they can stay tuned for more tomorrow. Speaking of video, don’t forget about YouTube. You do know Facebook loves video too, right? Upload videos directly to Facebook for more traction. As a side note, have you seen what DashBurst has created for us over there? They have a place for us to share our content and it is the perfect place for these separate images we’re creating. Add DashBurst into your content marketing strategy. To me, it looks a lot like Tumblr and I see a lot of old friends already taking advantage of it. Look me up at dashburst.com/hotblogtips. Let’s say you take the easy route and only create a 50 tip list post, one tweet for each tip and three images (sizes) for your top three social networks. You now have 200 separate pieces of very shareable content you can drip out that are all sharing a single blog post. Can you see the potential here? 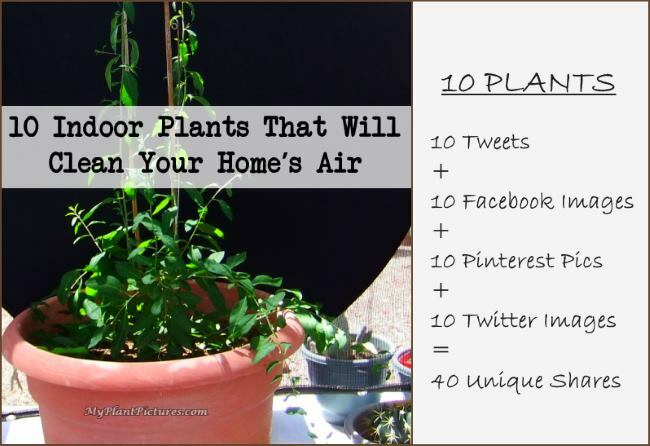 Even something like “10 Indoor Plants That Will Clean Your Home’s Air” shared on three social networks will give you over 40 different pieces of content that offers value while promoting your blog post (I say over 40 because you’re still going to promote your post in your normal ways such as emailing your list and posting for your sharing tribe). Look how exciting scheduling out the next couple of weeks of Buffer or Hootsuite content just got. ✔ Create an awesome list post of tips, quotes, or facts within your niche. ✔ Turn each tip into a quality image. Include your personality and style. ✔ Convert each of those images to the various sizes for each social network you want to share them on. I find it easier to re-size these images all at once while I have the original open in my editing program (I use Paint.Net). I’m pretty sure this #contentmarketing post will make your brain happier. Have you ever sent 200+ forms of high quality supporting content for your content marketing strategy? I haven’t and the idea of going for it has me shaking with anticipation. I hope you found this content marketing strategy inspiring and PLEASE let me know below if you are going to take on a fun project like this. 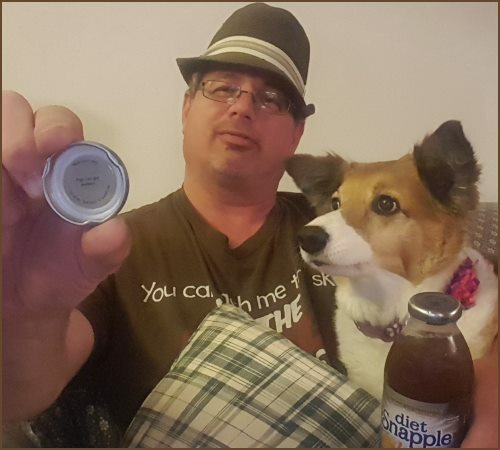 Disclaimer: HotBlogTips is in no way affiliated with or contracted by Snapple® or the Dr Pepper Snapple Group.